When Def Leppard‘s Hysteria came out 30 years ago, it made itself known as a massive achievement, its wall-to-wall sonics and skyscraping harmonies sounding like a turbo-charged version of the metal-edged pop the band had laid down on their prior LP, 1983’s Pyromania. “Every track sparkles and burns,” Kurt Loder wrote in his Rolling Stone review of the album. 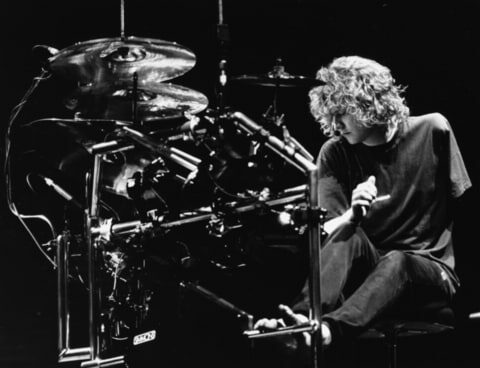 But the journey the band took to Hysteria was long and at times calamitous, marked by producer conflicts, lengthy recording sessions, record-company debts and a near-fatal car accident suffered by drummer Rick Allen. In advance of a new deluxe Hysteria reissue, out Friday, here are 10 facts about the album’s genesis and its current place in music history. 1. Meat Loaf producer Jim Steinman was originally slated to produce the album. 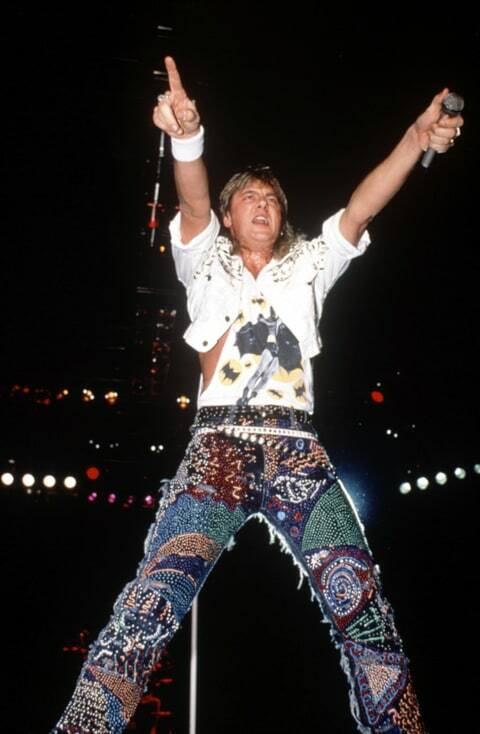 “When we first got together to follow up Pyromania – which was basically what it was; it wasn’t Hysteria at the time, it was just going to be the next album – we hadn’t a clue [as to] what we were doing,” lead singer Joe Elliott says in Step Inside: Hysteria at 30, a documentary produced by the band in honor of the album’s 30th anniversary. Def Leppard initially wrote songs with producer-songwriter Mutt Lange, who’d worked with them since 1981’s High & Dry. His packed schedule, though, meant that he couldn’t produce the album. For that, the band initially chose Jim Steinman, whose recent credits included Bonnie Tyler’s hit-spawning Faster Than the Speed of Night, Air Supply’s smash “Making Love Out of Nothing At All” and, most famously, Meat Loaf’s Bat Out of Hell. 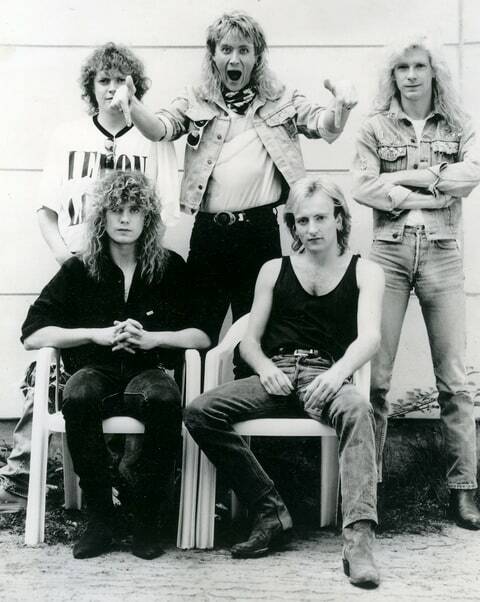 The band turned to Nigel Green, who had engineered the Lange-produced Def Leppard records, but the sessions resulted in songs that hewed too close to Pyromania. Two weeks after Green and Def Leppard began recording together, Allen’s horrific 1984 car accident in rural England, which resulted in him losing his left arm, put the band on hiatus. 2. Rick Allen’s hospital bed helped him dream up his new custom drum kit. 3. Mutt Lange’s studio perfectionism added to the album’s delays. 4. “Love Bites” originally had a bit more twang to it. 5. “Animal” had a three-year gestation period. 6. The band saw “Pour Some Sugar on Me” as their early foray into rap-rock. The genesis of “Pour Some Sugar on Me” (the last song written for the album) came, in part, from the success of Aerosmith and Run-DMC’s “Walk This Way,” which became the first hip-hop single to hit the Top Five shortly after its release in 1986. “When we did ‘Pour Some Sugar on Me,’ it was only written because Run-DMC and Aerosmith had done ‘Walk This Way,’” Elliott said in 2000. “All of the sudden, rock and rap did mix, so we wrote our own.” Elliott’s verses were laid down as abstract syllables at first, then massaged into actual (yet still somewhat obtuse) words. 7. Hysteria stretched the limits of how long an album could be. 8. Lange envisioned the album as a singles machine. 9. Hysteria became extremely popular, but it was first known for being very expensive. 10. Hysteria is one of the best-selling albums to not be available on digital music services.